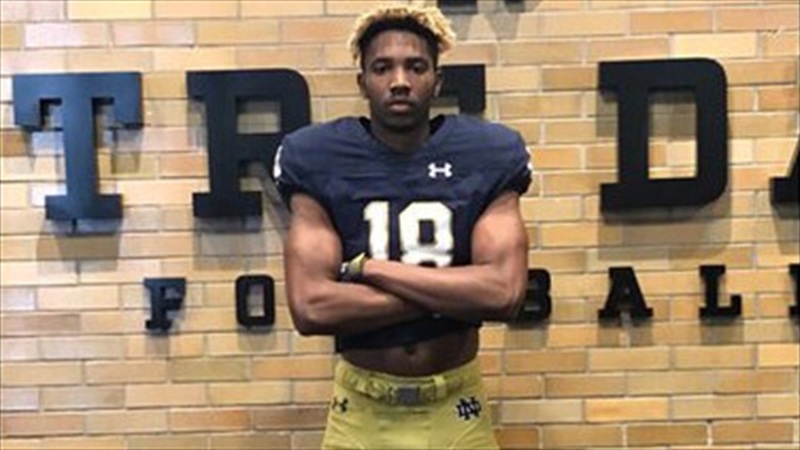 Deion Colzie‍ said he was “sold” on Notre Dame following his trip to South Bend back in September, so the 2021 Georgia wide receiver was excited to return this weekend. Colzie, who has an early offer from Tennessee, had a chance to watch the Irish get to work early in the day. Afterward, he had the chance to speak with Irish wide receivers coach Del Alexander. “I talked to Coach Alexander for a minute after practice about how everything works and the recruiting situation and all of that,” Colzie explained. The Athens Academy standout feels comfortable at Notre Dame. If he has the chance to return again, he’d like to see even more of the academics. “Maybe go into classes to see how everything works and talk to a teacher or two,” he said. He’s got a trip to Georgia coming up in a couple of weeks.